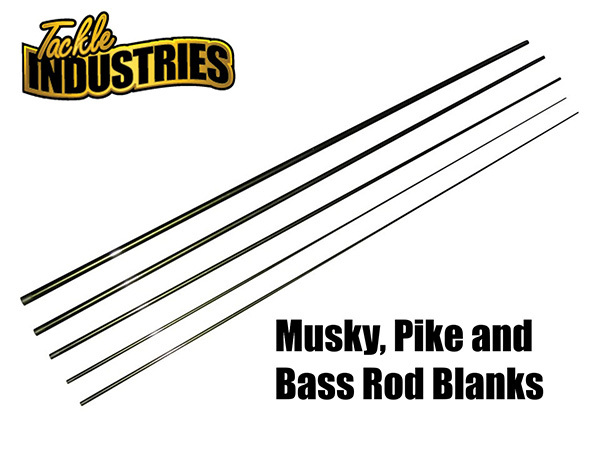 Quality musky and northern pike rods made by the Tackle Industries company. High tech trade secret materials go into our IM8+ rod blanks making them super light but very responsive and durable. High quality Fuji components and tough 316ss alloy guide setup. Come see our 30 lines of muskie rods. For years Tackle Industries has been known to make some of the highest quality and affordable lures on the market for freshwater and saltwater fishing. 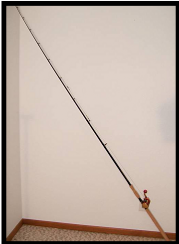 Finally, a fishing rod has been added for today’s fisherman that matches our high quality and affordable prices. Throwing large muskie lures requires a top quality musky rod with a lot of backbone for both the cast and the hookset. To meet the daunting task of tackling monster trophy musky and Northern pike, Tackle Industries has introduced a series of muskie rods to handle all of your needs. Tackle Industries rods are not only for trophy musky and pike fishing but can also be used for some of the toughest saltwater and freshwater game fish around. Four powers are available for the casting rods: MH (1-4oz lures), XH (2-8oz lures), XXH (up to 16oz lures) and the BEAST Super Pounder rod XXXH (up to 2lb lures). If storage is an issue our 9′ telescopic rods collapse down to 7’6″ for storage. Longer rods make it easier to cast lures farther with less effort and result in less fatigue. Our rods are made with a modified IM8+ blank with the trade secret TitanTM technology to give these rods super strength, flexibility, feel and years of durability. You will also see that ten guides are used instead of the standard eight. These additional guides provides smoother casts especially with larger musky lures, and less wear and tear on the line, guides and your musky rod. High quality Fuji® components are used on all fishing rods. Fuji® reel seats provide a solid platform for anchoring your favorite reel. Here is the best part. We have muskie and pike rods that are equipped with a full grip or split grip handle design so you can fish with a handle that fits your needs. Our handles are built tough too. We have perfected a revolutionary super durable handle design that is 13″ up to 18″ long and super comfortable on all of our musky and pike rods. We also made all of our muskie rod handles fat! Our handles are almost over 1.5″ in diameter. That’s about 25% “fatter” than the standard handles and you will feel the difference after you fish all day with these. 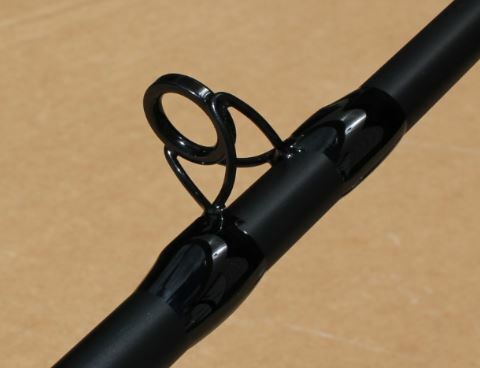 Ours rods also come equipped with extra long 6″ fore grips for increased comfort and plenty of leverage. From the Fuji® tip-top guide to the Fuji® reel seats and on down to the revolutionary handle design, these are the real deal and not overpriced like the competition. We are so confident in our rods that every rod comes with an unheard of Lifetime warranty. We are very happy to announce that Franglais Fishing is now carrying a full line of TI rods in Europe. 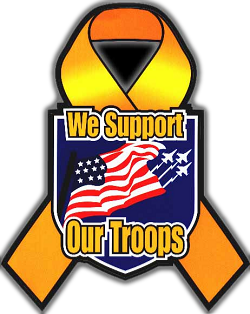 Please visit the below website for details. 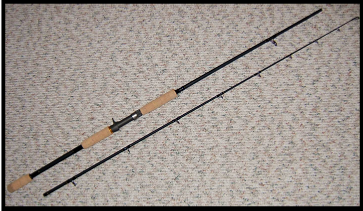 If you do not see the rod you want, please email Steve the owner and let him know what you want. 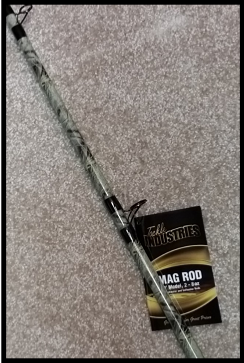 TACKLE INDUSTRIES LONG RODS IN CANADA NOW!!! 5/0 Sports now has a good selection of Tackle Industries 7′, 7’6″, 8’6″, 9′, 9’6″, 10′ and 10’6″ musky and pike rods! Super LOW $6 FLAT rate shipping for USA customers NOTE: We can ship our 2pc 9′ rods to both Canada and Europe for our regular international shipping prices!! 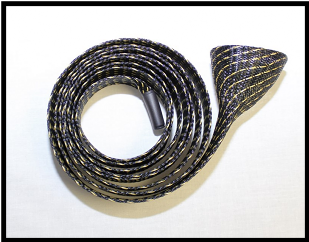 If you want a long rod shipped you will need to contact us for a shipping quote.